Manitoba Hydro Place | prairie architects inc.
Prairie was selected as the Professional Advisor for Manitoba Hydro to coordinate the overall development of the $250 million project. We reviewed Best Practice examples of sustainable high-rise office buildings and coordinated a tour of 20 leading sustainable buildings in Europe. We designed a process for the selection of 10 project consultant positions and coordinated the selection and rating of over 100 consultants from around the world. We also coordinated the selection of sites for the new building based upon sustainability, cost, zoning etc. 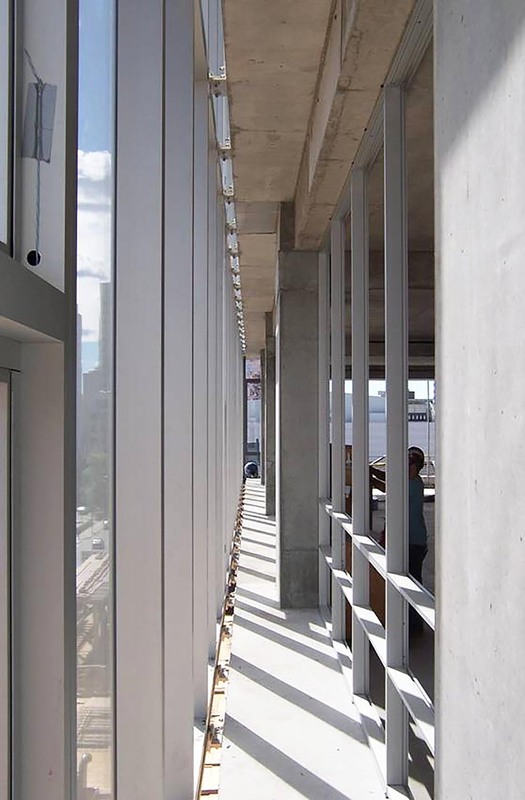 As the project evolved, our role became one of coordinator of the Integrated Design Process where we established 12 design charette sessions where all 30 team members came together to work to design the building in an integrated fashion. 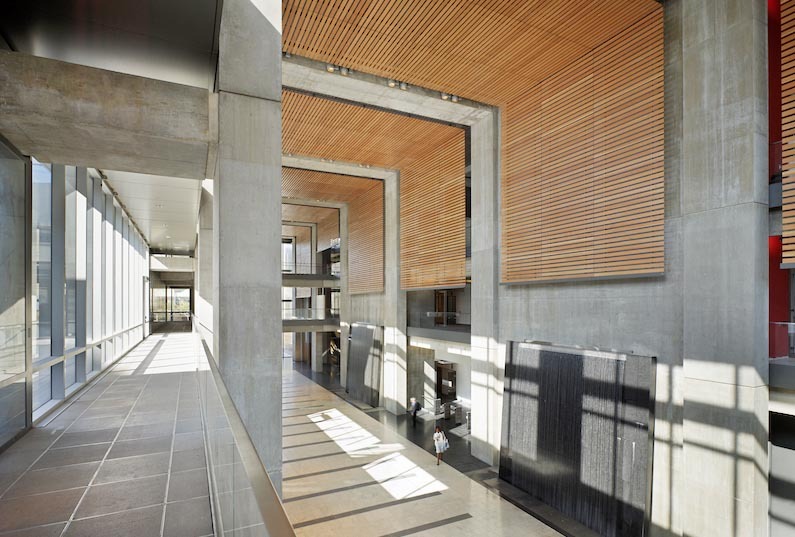 Additional tasks include review of budgets, coordination of the LEED green building certification, and on-going advice on macro planning and design issues. Located at 360 Portage Avenue in Winnipeg, Manitoba Hydro Place is Manitoba Hydro’s corporate headquarters. 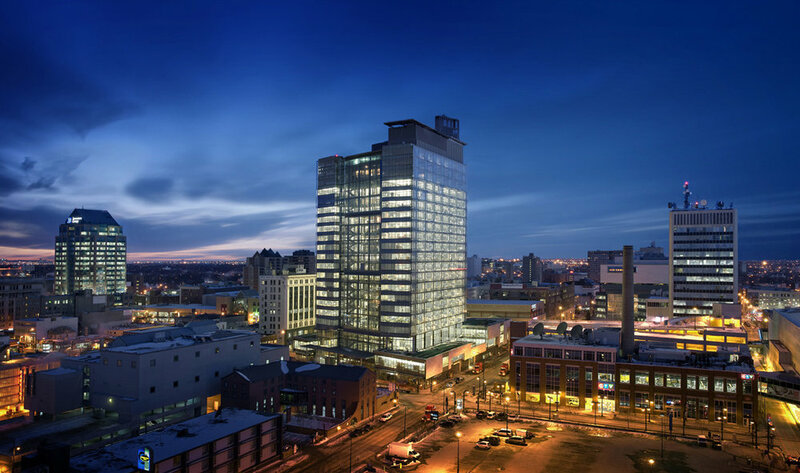 It was constructed to meet the corporation’s present and future business needs while serving as a model for superior energy-efficient sustainable building design and operation. The largest office building in Winnipeg Manitoba Hydro Place is expected to use 65 percent less energy than a comparable office tower built to current standards and is certified LEED Platinum. 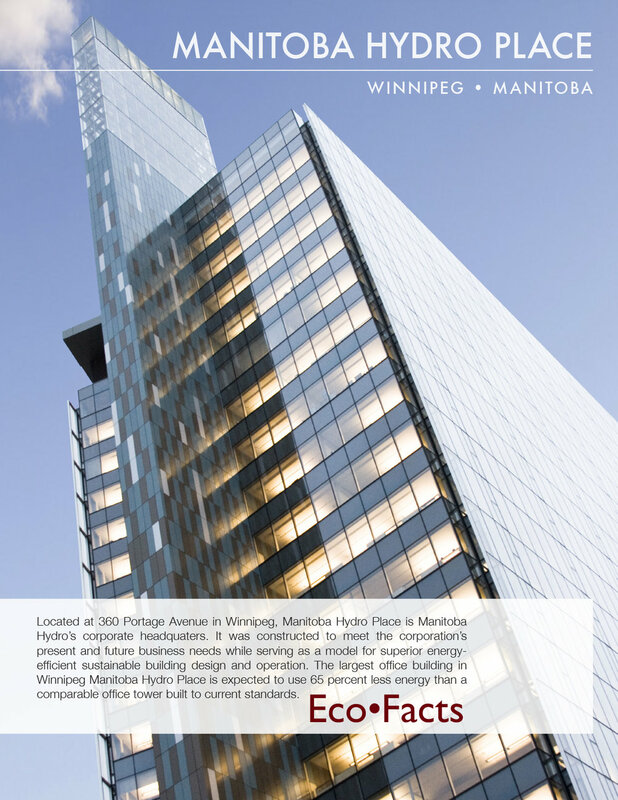 Read how Manitoba Hydro Place surpassed energy goals one year after LEED Platinum certification!